It’s a busy time of year here in Banff National Park. With resort snow bases building as thick as opening day anticipation, our brain (and sport) gears have shifted to ski stoke and all things winter. 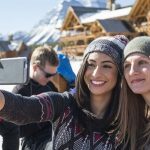 Whether you’ve dialed in your winter vacation to SkiBig3 or are feeling out some good times to make a visit, here are some remainder-of-2018 events you won’t want to miss on your early-season visit to Banff National Park. While resort crews are hard at work prepping the mountain for very first chair, they haven’t begun spinning quite just yet. 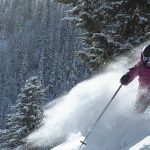 But these two events will tide you over until then, and are sure to prime your ski stoke all the way through to early November. 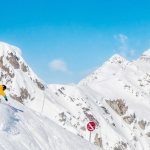 This gathering of ski bums and mountain lovers is the ultimate early-season party, featuring the ‘best of’ local ski and snowboard films, a winter tradeshow, major door prizes, giveaways, and more! There’s a film (and book) for every flavour here. Spanning nine epic days of shoulder season right in the town of Banff, the Festival brings together the best in mountain films, books, and photography from around the globe. 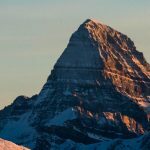 While not official just yet – these are the dates the three resorts in Banff National Park are gunning for. If all this early season snow continues to accumulate, they might just pull the trigger even sooner! Shoulder season offers fantastic opportunities to taste the Rockies in Banff and Lake Louise. Discover the rich culinary scene celebrating the best of Alberta and British Columbia – it’s the ideal time of year to tuck into some Alberta beef and raise a glass of Okanagan red. 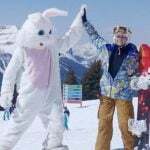 The Santa Clause Parade kicks off a flurry of family-friendly activities to kick-start the season in Banff, bringing holiday cheer to a whole new level. 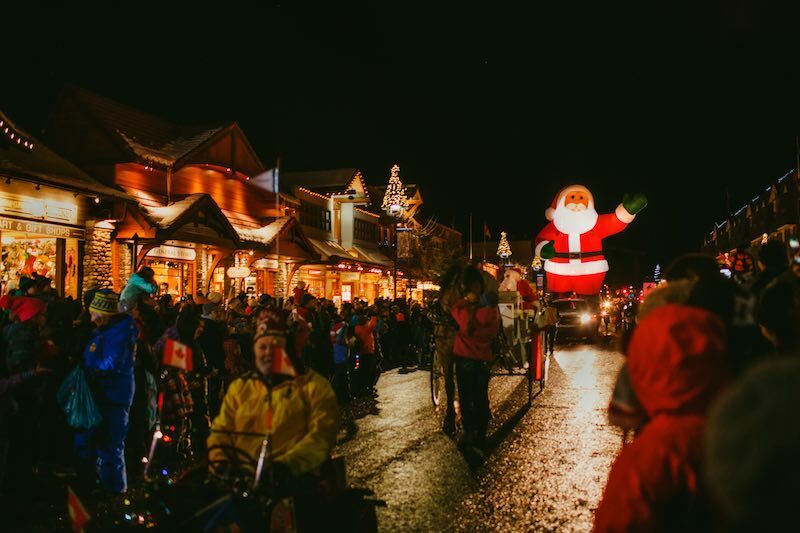 At dusk, the streets come alive with the magic glow as a procession of floats, performers, and Santa himself traverse Banff Avenue. DJs, raffle prizes and drink specials will keep you entertained in the Sitzmark Lounge all night long. The Grand Prize Draw is an 18/19 Adult Season Pass! The start of ski and holiday festivities truly begins in November. 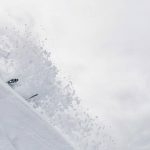 With the resorts open in early November, there’s plenty of reason to visit SkiBig3 during this quieter time before full-on Christmas season hits the Bow Valley. These events allow you to treat yourself and others as you get in your holiday prep. Santa Clause Parade of Lights on Banff Avenue. Featuring goods inspired by Rocky Mountain culture, you’re bound to find one-of-a-kind treasures to add to the wishlists of friends and family. Festive entertainment and culinary delights will put you in the mood for the holidays, and includes fun for kids too! Taking place at the home of Canada’s first national park, the Banff Craft Beer Festival returns to the Cave and Basin. Throughout the nights, sample amazing food from some of Banff’s best pubs and restaurants, try an offering of beers from Alberta’s own breweries, and share stories with local brewmasters. Watch the fastest skiers in the world begin the World Cup speed circuit at the Lake Louise Ski Resort, the only event of its kind in Canada. Cheer them on from the Fan Cheering Zone, stop by the Kids Zone for family fun activities, and enjoy other base area activities throughout the weekends. 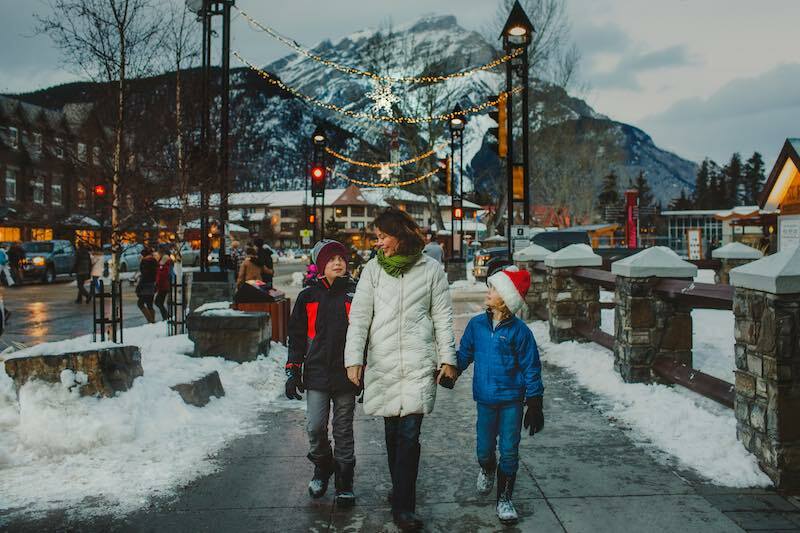 The Bow Valley comes alive with holiday cheer all throughout December, a truly magical time of year to make long-lasting memories in Banff National Park. Be sure to check back as more events are announced further into the winter season. The CP Holiday Train journeys through the night. Photo courtesy of Canada Pacific Railway. Every year two trains take a festive journey across Canada to raise money and gather food for those in need. 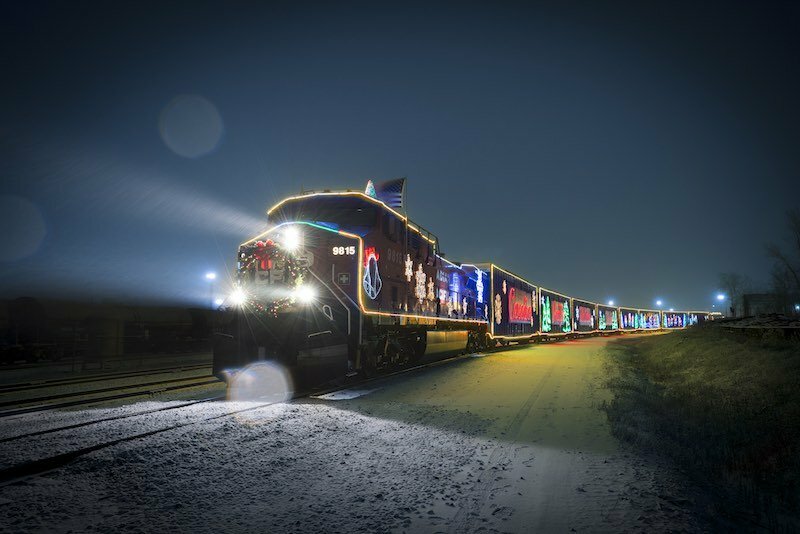 The train is scheduled to arrive at 7 p.m., with performances starting at 7:15 p.m. from the Sam Roberts Band, Kelly Prescott and Tracey Brown. Watch Banff Sunshine Village’s specially trained torch bearers put on a nighttime show for the guests of the Sunshine Mountain Lodge in the spirit of the holiday season. 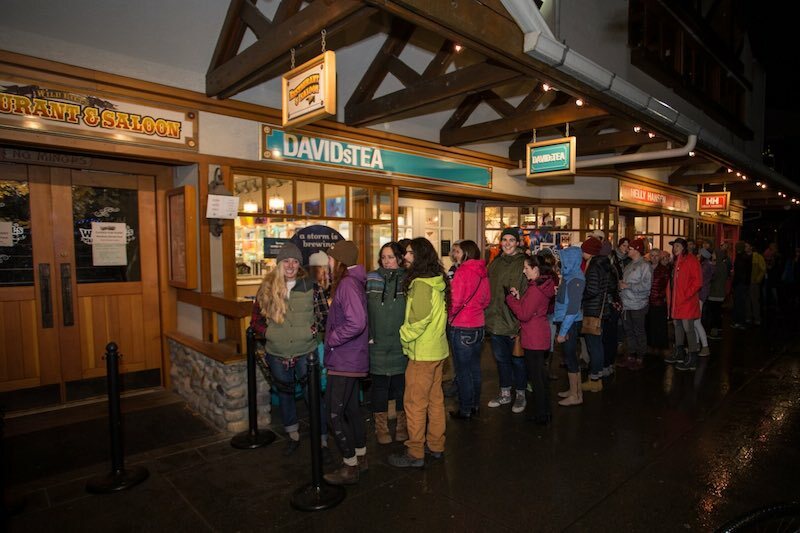 Celebrate the New Year in Banff with a big event downtown. This family-friendly event includes skating with Isabelle the Wonderful at the downtown rink, roasting marshmallows, fire dancers, interpretive Indigenous stories and dance, a fat bike obstacle course and music on our main stage, plus rides on the children’s train – The New Year’s Eve Express. 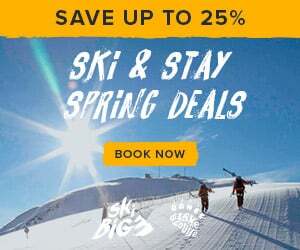 Want to take part in the early season winter buzz of SkiBig3? Talk to our Vacation Planners today to take the first step in your dream visit to Banff National Park. You can reach them via Live Chat, or by calling 1-844-754-2443.